Regarding ownCloud VMs we always try to be the first one to release a new version. This time is no exception. As PHP 7 recently got released and it proved to be insanely fast together with ownCloud, we figured we would start with a test version of ownCloud as well, besides the Production VMs we already released. Read about the updated VM here. Now both Redis Server and Let’s Encrypt SSL is included! The difference with this VM is that we built it differently. Instead of using the ownCloud packages we had to download it and extract it manually. 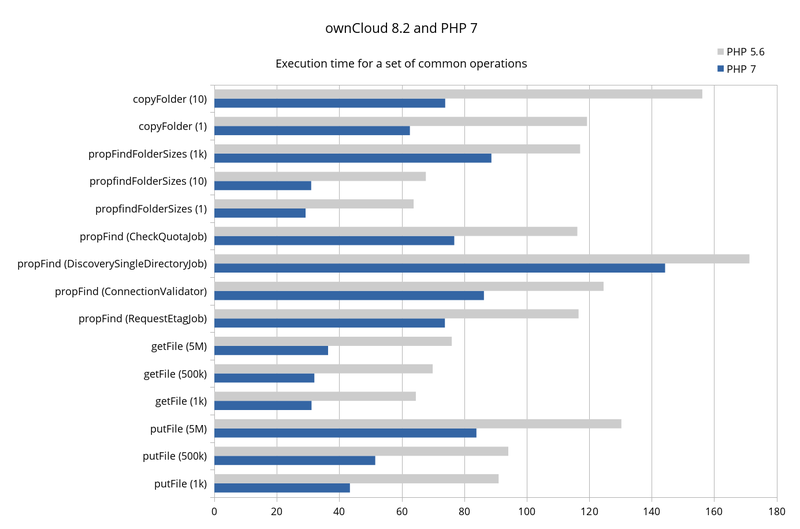 This is because ownCloud depends on PHP 5 packages, and it’s very difficult to upgrade from PHP 5 to PHP 7 on a system that already runs ownCloud because of its dependencies. What we had to do was to use the Ondrej PPA packages, and install all the PHP 7 dependencies separately. Other than that, everything are as normal. So in other words you could use it as a production server, but we wouldn’t advice it, because PHP 7 is still new, and everything isn’t working, or you need to hack for hours to get it working with some software. One example of hacking that we tried was to get Redis Cache to work together with PHP 7. Installing the server itself was no problem, but getting the PHP module to work was a mess. Redis claims to support PHP 7 but we didn’t manage to get it right. What we did was try to compile it from a clone (tried several) on GitHub. It got installed, and when we checked the version it said that it was installed, but ownCloud got a white screen and asked us if the module really was installed and enabled. And as PHP 7 already is so fast, we decided to exclude Redis Cache from the testing packages. We also tried to install phpMyadmin without any luck. So it seems that it’s not compatible either. We didn’t give that as much effort as the Redis Cache Server though. Did you know we also made a MineCraft Server VM?